Learning Chinese is never easy. However, constant dripping wears away a stone. As long as you master the right method and practice continually, you reach success. 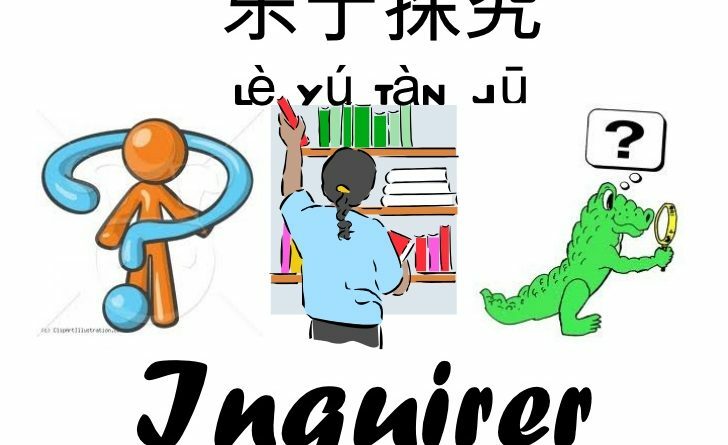 Here are six suggestions for Chinese learners. If you know why you want to study, setting goals is easy. For example, maybe you want to travel to a Chinese-speaking country. Great! Your goal might be to learn “Survival Chinese”. Perhaps you already know many useful phrases, but you want to improve your listening skills and pronunciation. Whatever your goals are, write them down. How long do you need to study to achieve your goals? This answer is different for every student. The important thing is to be realistic. If you work 60 hours per week, then don’t plan on spending another 40 hours a week studying Chinese. Start off slowly, but study regularly. Use material that is challenging, but not too difficult. Find out what works for you. After you have studied for a few weeks, adjust your study schedule accordingly. Do you study best at night or on the bus on your way to work? Do you like to study alone in a quiet place, or with friends and background music? Make a specific plan according to your personal study situation. Learning Chinese requires a lot of motivation. Nobody is going to take your attendance when you aren’t in class. If you are sure you are ready to begin studying, make a commitment. Sign a contract with yourself. The things we do best in life are the things we enjoy doing. If you aren’t having fun learning Chinese, then you’re not studying the right way! You can be a serious student who has fun at the same time. Make up your own rewards program to give yourself incentives to stay on task. No one can learn Chinese within one day. It is a very long journey to learn Mandarin. However, if you set aside even 15 minutes a day for learning, you will have big success in learning Chinese after one year. The most difficult thing is to persist. Please take a few minutes in learning Chinese: you can choose listening, speaking, reading, or writing. You can read a short essay or watch Chinese TV or even write a diary in Chinese. As long as you practice, you can make progress. Don’t waste time on exercises that you already understand just because they are easier for you. Concentrate on the part that is difficult. If you are unsure of where your problems are, then write down your questions and ask a teacher to help you. Then you can look up your problem and practice it. Don’t allow distractions. Consider email, TV, and the telephone (unless in Chinese) off limits while you are studying. Have a drink and snack handy so that you don’t have to get up. If you study in pairs or groups, make a Chinese-only rule. Find a professional Chinese Mandarin school to learn Chinese systematically. Gain access to Chinese culture. Get a part-time job that uses the language.